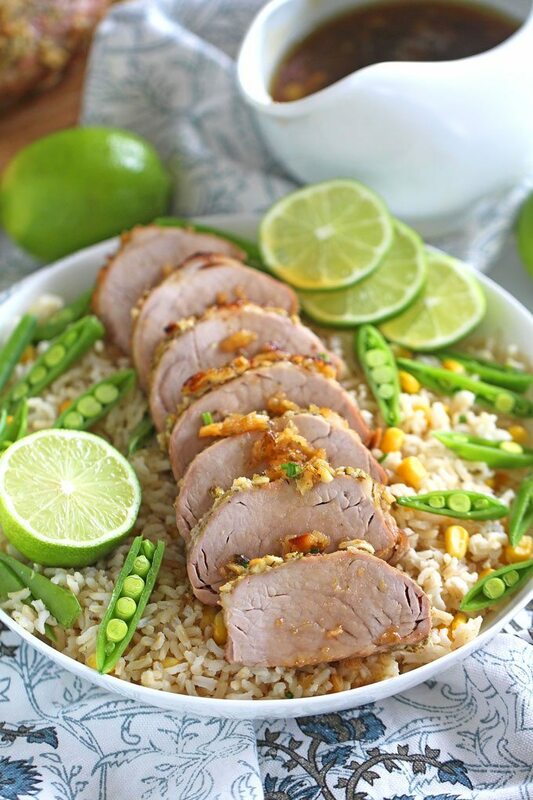 Garlic Lime Pork Tenderloin is tender, juicy and refreshing. Marinated and cooked in the most amazing maple syrup, garlic and lime mixture. We love making easy and delicious pork dishes like our favorite Slow Cooker Peach Pork, Best Instant Pot Ribs and Garlic Jalapeno Pork Loin. 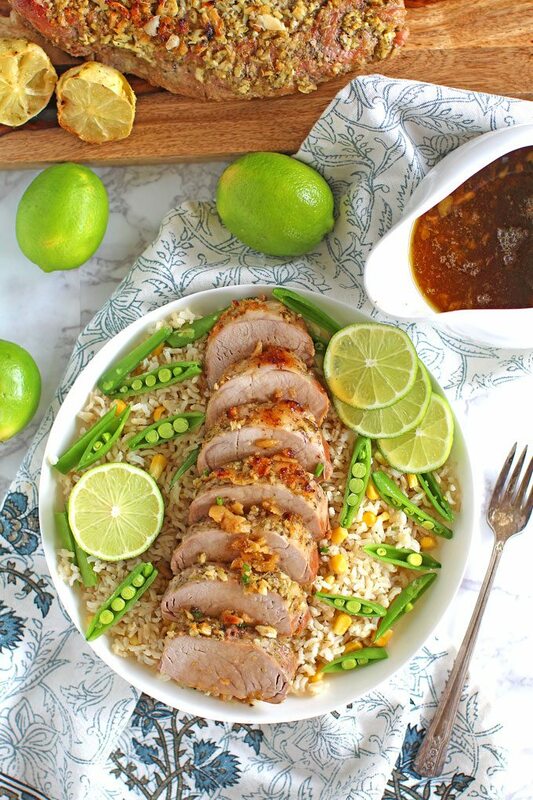 Maple Syrup Garlic Lime Pork Tenderloin is so juicy, flavorful and refreshing that it will become your go to dinner. We start with an amazing marinade of lime juice, lots of fresh lime zest, garlic, olive oil and sweet maple syrup. This marinade is so good that you can use it on everything: poultry, seafood and even portobello mushrooms before grilling them. A delicious marinade can make or break a dish, and I am telling you, this one is a keeper! 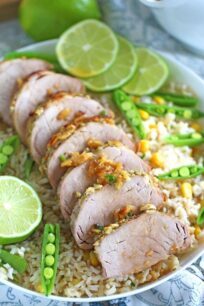 The Maple Syrup Lime Pork Tenderloin is very easy to make. All you have to do is marinade and bake, eat and enjoy! We like to serve this dish with rice and a salad on the side. Very easy to make, with minimum ingredients and dishes to clean. Can be served for a special occasion. The marinade is incredibly good and can be used in other recipes. The meat can be marinated hours in advance and roasted before serving. Can be served over rice, salad or sliced and made into sandwiches. Try to buy quality organic pork, because the meat is essential in this dish. Look at the color of the pork, it should be a nice reddish pink color to a purplish red. The darker the pork is the better it will taste! Plan in advance and marinate the pork, one hour is minimum. For best results I recommend marinating it overnight. Pinch the pork loin with a fork uniformly. That will help the marinade get inside the meat, which will make the pork even more tender and juicy. Make sure you flip the pork half thru the marinating process, to ensure that both sides are marinating evenly. I like to roast the pork in the marinade, because it makes the meat juicier. For best results, during the roasting, spoon some of the marinade mixture over the pork loin top. This will protect the top from drying out. For spicier kick, add some cayenne pepper to the marinade. If you are not sure if the pork is cooked, instead of over cooking, take a meat thermometer. The internal meat temperature for whole cuts of pork should be 160F degrees. After you take the pork out of the oven, cover it up with aluminum foil and let it rest for 10 minutes. This will give extra moisture to the meat. More of a chicken person? Try this marinade on chicken breast or check out this delicious Mediterranean Chicken Recipe made in 1 pan and with the most delicious citrusy marinade. 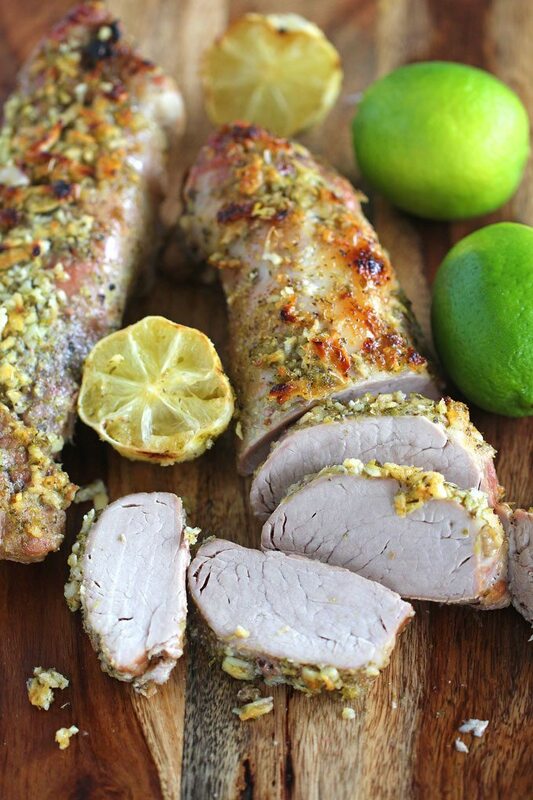 What to serve with this Garlic Lime Pork Tenderloin? Pinch the pork loin all over with a fork and add it to a deep baking dish, not a very large one, you want it tightly together so the marinade gets all over it. You can also add the meat to a large ziplock back. In a medium bowl combine all the marinade ingredients, whist to fully combine. Pour the marinade over the pork, cover with plastic wrap and marinate in the fridge for at least 1 hour or better overnight. During the marinating time, make sure your flip the pork tenderloins onto the other side to ensure it marinates evenly. Adjust oven rack to middle of the oven. Once ready to bake, if you marinated the pork in the baking dish, just pop it into the oven. If you marinated the pork into a ziplock bag, add the marinade to a baking dish, add the pork and bake. 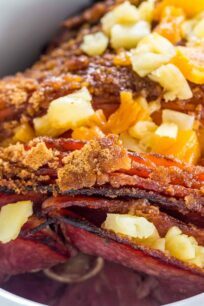 The marinade in the baking dish should not cover the top of the pork, it should come to ½ or ⅔ of the pork. Bake, uncovered, for 30-35 minutes or until a meat thermometer reads 160°F. Once done, remove from oven, cover with foil and let it stand for 10 minutes before slicing. Please don't skip this step, if you slice it right away all the juice will come out. If you want to make the glaze, add the marinade in which the pork was cooked to a medium pot over medium heat. Stir in brown sugar and corn starch and whisk until fully combined, with no lumps. Simmer for 7-10 mins, until the mixture thickens, stirring occasionally. Add the glaze to a small pitcher and drizzle it over the sliced pork before serving. Preparation time does NOT include how long you marinate the pork. That maple syrup sounds amazing! And these photos are gorgeous, just loving the green! Oh my, this looks and sounds fantastic! Can’t wait to try it! What a delicious Pork recipe! Adding this to my menu for next week! This looks so juicy and flavorful! I love the idea of making this into sandwiches. Sounds terrific! Can’t wait to try! What is on top of the tenderloin? Looks like something crust-ish, not just the glaze. wow this looks amazing, will def. try it out. thanks for sharing! 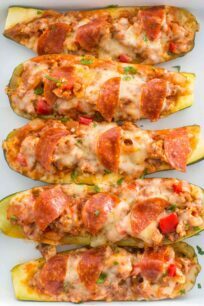 Amazing recipe, amazing picture, these look amazing! Your tips are my favorite part of your posts! Such great information! This dish looks delish! My husband loves pork and this sounds so delicious! Can’t wait to make this for him! This looks easy and so delicious! Perfect for weeknight dinner! This is really gorgeous! I would love to try this for weekend dinner! 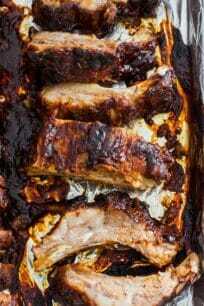 I love an easy pork loin recipe and that marinade sounds incredible!